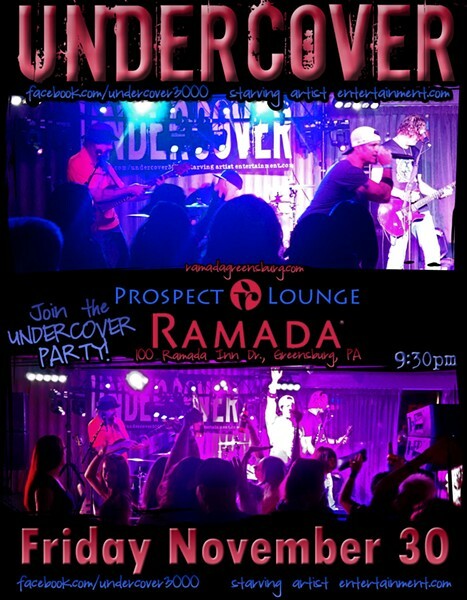 The UNDERCOVER Party Bus travels to the Ramada in Greensburg to perform in the Prospect Lounge on Friday, November 30, 2018! Join UNDERCOVER as they play a huge mix of Dance, Rock, Pop, and more! Shake your booty on the dance floor or chill with a drink at the bar - however you prefer to enjoy the show! And as always, please do not drink an drive - just get a room at the hotel and gain free admission to the performance!